This week, Gucci made headlines with its 50% sale in China aimed at clearing its former creative director Frida Giannini’s legacy. 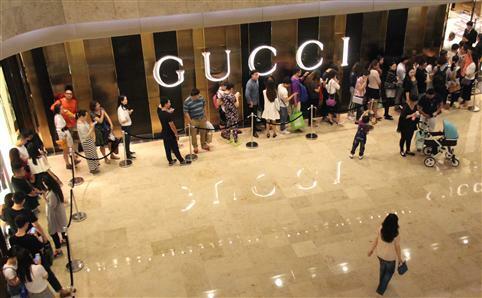 This prompted record-breaking crowds of Chinese luxury lovers queuing since dawn outside Gucci’s flagship store in Shanghai in the hopes of landing the coveted leather goods and pret-à-porter. Queue outside the Gucci Shanghai store. Photo via The Time Out blog. Of course, this is not entirely new, nor surprising. China is the world’s top luxury consumer. Despite the government’s recent ban on luxury advertising and simultaneous crackdown on corruption, luxury stores are springing up all over the country, not only in major cities like Shanghai and Beijing but also the so-called tier 3 and 4 cities (each however with a population above one million). Add to this hordes of Chinese tourists in luxury stores in Paris, London and New York, and it is easy to understand the lure of China for the global luxury industry. And yet behind the glitzy shop fronts and conspicuous logos, something else is happening. The new Chinese luxury consumers are becoming more sophisticated. And they are looking for less bling and more values from the brands they admire. They also start to be more interested in their country’s rich cultural traditions – from silk weaving to porcelain making – that hold the promise for China’s own authentic luxury products. Established in 2007, Shang Xia is China’s version of Hermès – which in fact owns 90% of the brand. It produces ready-to-wear, porcelain, furniture, accessories and more, and has even opened its first boutique in Paris two years ago. 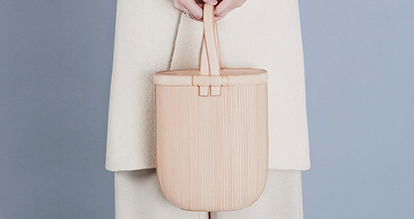 Lan Yue bag by Shang Xia. 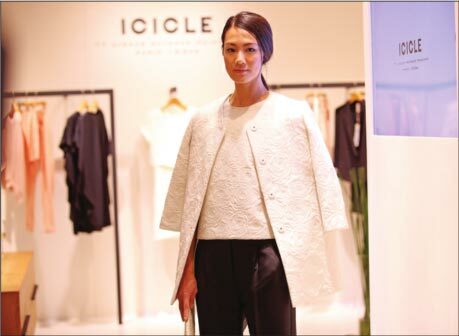 Shanghai-based Icicle is an emerging eco-luxury brand with already over 100 stores across China. Icicle founder Ye Shouzeng has teamed up with former Céline and Lanvin designer Benedicte Laloux to produce Icicle Paris Line with clean lines and pastel shades. In a true luxury tradition, Icicle pays a lot of attention to small details: the garments’ lining is made from organic cotton rather than polyester, the buttons are made from biodegradable plastic and your purchase comes in a reusable cotton bag instead of wrapping paper. Icicle is a Chinese eco-luxury brand. Photo via China Daily. Ma Ke is a Chinese designer known for her anti-consumerist stance. She has attracted international attention for her artistic creations made from eco-friendly and recycled materials and traditional dyeing methods. Her brand “Wuyong” (which translates as Useless) was a special guest at the 2008 Paris Haute Couture Week. 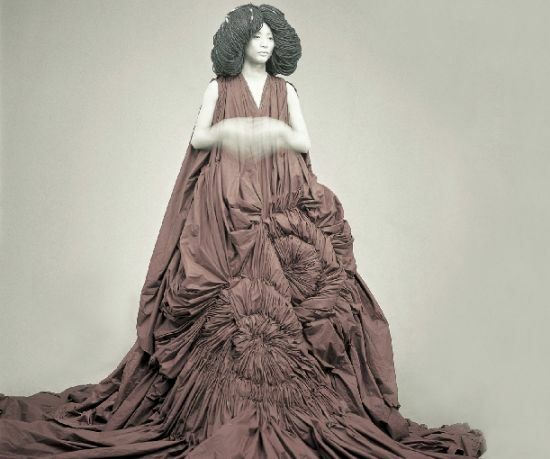 One of Chinese designer Ma Ke’s haute couture creations. China has always been a source of inspiration for the global fashion industry. Earlier this month, guests at the annual Met Ball paid tribute to China and its influence over western designers like Yves Saint Laurent. Rather than serving as the end destination for some of the world’s most iconic brands, China can instead emerge as the ultimate source of talent and trend-setter on the global fashion and luxury scene. Perhaps 50 years from now it will be Parisians flocking to Shanghai for a piece of China’s timeless heritage wrapped in an eco-luxurious package.